Our Rosco 300 Blackout Bloodline Barrels were created by using input from SOCOM end users and some of the original creators of the 300 Blackout caliber. 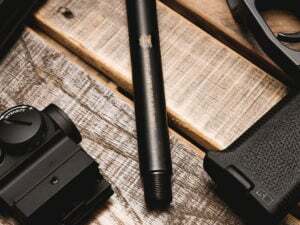 Every barrel was designed to optimize the original role for this caliber; to be suppressor friendly and accurate. It is our goal to get you the performance that you seek out of these AR15 barrels when running sub-sonic ammo or supersonic ammo (depending on barrel length). Twist rates, gas port diameters, and lengths have all been taken into account when we set out to make these. Let’s just say that we don’t like leaving things to chance. Browse our high quality AR15, SBR, and Pistol barrels today!